Crowns are a replacement of missing teeth. These can be made of metal, gold, porcelain and zirconium. Porcelain-fused-to-metal dental crowns can be matched to the color of adjacent teeth (unlike metallic crowns). 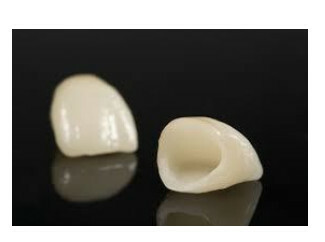 After all-ceramic crowns, these porcelain-fused-to-metal crowns look most like the normal teeth. However, at time the underlying metal can show through as a dark line. All-ceramic / all-porcelain dental crowns render good natural color match in comparison to other crown types, and probably is more suitable for those having metal allergies. All-ceramic crowns are an excellent choice for front teeth. Zirconium stands to be the strongest all-ceramic coping material available today. 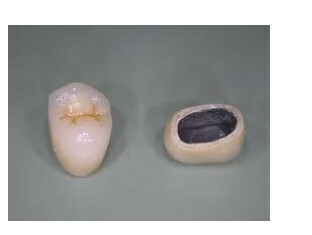 It is ideal for people sensitive to metal or simply favor esthetics of metal-free restorations. Zirconium crowns and bridges are extremely strong and can be used anywhere in mouth. 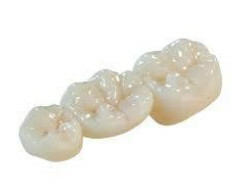 Zirconium crowns effectively withstand biting pressure of front as well as back teeth grinding. Zirconium crowns and bridges look close to natural teeth and the difference is hard to tell.